Welcome to the website of Mineral Springs Haunted Tours the only tour of the haunted Mineral Springs Mall in Alton, IL. Alton has been called one of the "Most Haunted Towns in America" and our tours are the best way to learn about and experience the best paranormal activity that Alton has to offer. 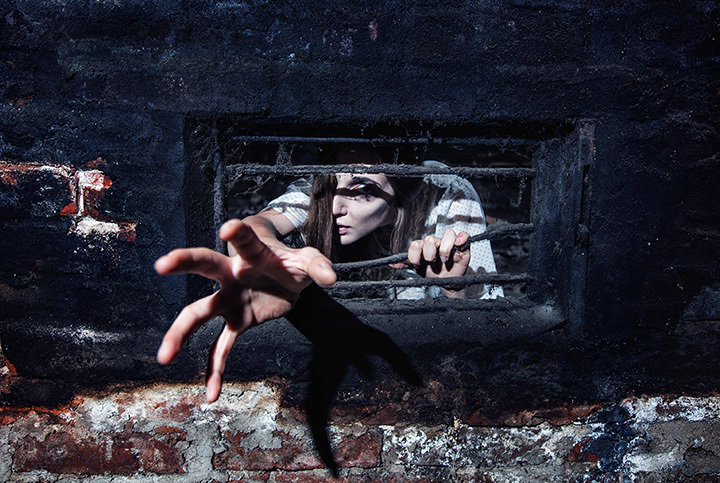 In addition to our standard walking tours, we also offer exclusive "Haunted Overnights" which allow you to camp out in the old haunted pool inside the basement of the hotel. Pre-paid reservations are required for haunted overnights, so make sure to check the Tour Calendar and reserve your spot today! Check the tour calendar regularly for added special events! For walking tours, online pre-payment is not required, but payment at the door can be made with cash or check only. Please note: if pre-paid reservations are not made, we reserve the right to cancel any tour without notice. To guarantee your spot, please pre-pay online or contact us so we know to expect you.